Dutch elm disease (DED) is one of the most destructive urban forest diseases. This disease affects native American elm species, such as American (Ulmus americana), slippery (red) (U. rubra), winged (U. alata), rock (U. thomasii), September (U. serotina), and cedar (U. crassifolia) elms. The Asiatic elms, such as Siberian (U. pumila), Japanese (U. japonica), or lacebark (U. parvifolia) elms, are much less susceptible to DED, and the disease is not considered an issue for these species. Figure 1. 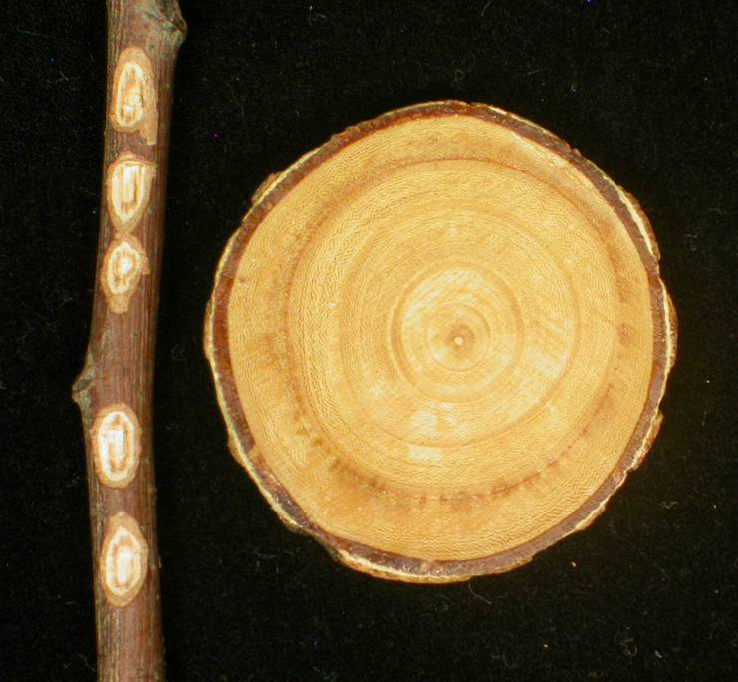 Three American elms in severe decline caused by Dutch elm disease. 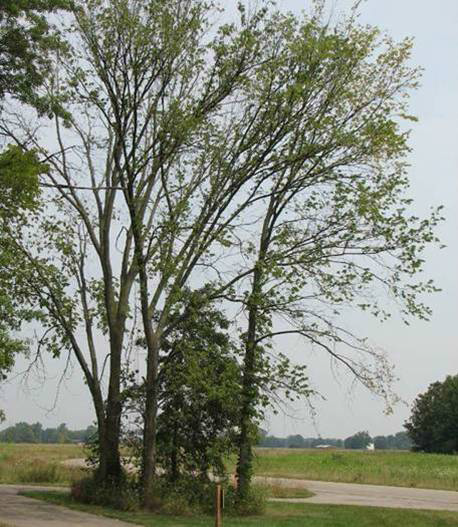 Introduced into America near Cleveland in the 1930s, this disease still kills mature elms today. 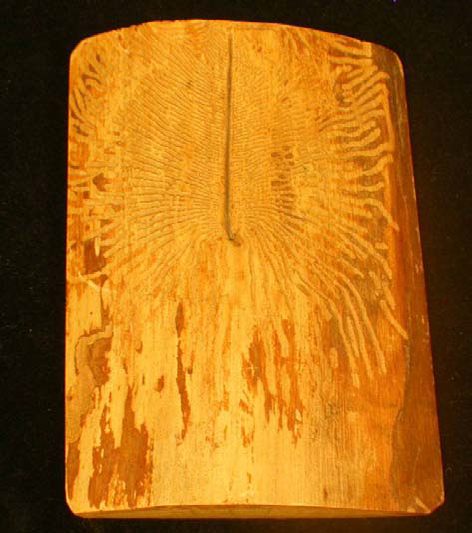 Dutch elm disease occurs throughout the natural range of American elms, and is found in virtually all the continental United States except the desert Southwest. Historically speaking, it is known as “Dutch” elm disease because the first extensive research was done by pioneering Dutch women. American elm trees once dominated our urban landscapes as beautiful shade trees. Now, due to DED, they are no longer prominent. In fact, American elms are virtually absent in most communities today, with the exception of lone “survivors.” Some communities have made extensive attempts to save their elm trees, such as Washington, D.C., and Syracuse, New York, but more often than not the costs of managing DED on a city-wide scale prohibit the development of successful management programs. In nature both American and slippery elms can still be seen in locales where the environmental conditions are suitable for natural elm regeneration, such as in riparian environments. Dutch elm disease can be treated if recognized early. Early symptoms typically include yellowing leaves (i.e. chlorotic) on the tip of a branch and then turning brown and curling up. They are usually retained on the branch for some time (Fig. 1). These symptomatic branches are called “flags” and their appearance in an otherwise green crown is called “flagging.” As the disease progresses, more flags will appear until the whole crown becomes symptomatic (Fig. 2). Figure 2. Recognizing leaf flagging early is crucial to preventing DED from claiming mature trees. Figure 3. Diagnostic brown streaking just under the bark of branches of different sizes is characteristic of DED. Figure 4. Elm bark beetle larval gallery. Other diseases may present somewhat similar symptoms. 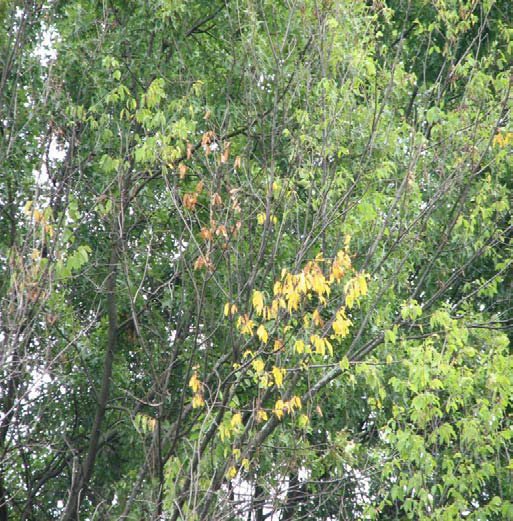 As the name implies, the pathogen that causes elm yellows also produces yellowing (chlorosis). However, it is usually generalized, affecting the whole crown from the onset, rather than beginning with individual branches. Bacterial leaf scorch of elm produces brown lesions on the leaves surrounded by a yellow halo. It should be noted that DED can also infect healthy elms trees through root grafts with infected trees (see below), in which case the entire crown will often display symptoms at once. Other, more diagnostic symptoms of DED include a brown to black streaking or discoloration under the outer bark of infected branches (Fig. 3). However, only a trained diagnostician can confirm the nature of the condition by conducting specific laboratory investigations. Dutch elm disease is caused by a fungal pathogen (Ophiostoma novo-ulmi or Ophiostoma ulmi) that is vectored by European (Scolytus multistriatus) and North American (Hylurgopinus rufipes) elm bark beetles. The bark beetle larvae tunneling (Fig. 4) in infected trees acquire fungal spores that are spread to new trees when they emerge as adults. The spores are introduced into healthy trees when the young beetles feed on twig crotches to complete their sexual maturation. As a result, monitoring bark beetle flights, which typically occur 1 or 2 times a year, can aid in monitoring the possible spread of DED. Once introduced, the fungus grows within the vascular tissue where it evades host defenses. The host defenses clog the water-conducting elements, leading to the flagging symptoms and eventually death by wilting. The beetles are attracted to dying and dead elm trees to lay eggs, and the cycle begins again. Therefore, prompt removal of dead and dying trees, as well as logs of infected trees, are key steps to limiting DED spread. Dutch elm disease is also capable of spreading via natural root grafts between systemically infected and healthy elm trees. Mechanical or chemical disruption of elm root grafts has been used to limit the spread of the disease between closely planted trees. Plant elms trees resistant to DED if possible, such as Asiatic elms or American elm varieties that are now available commercially, such as American Liberty, Valley Forge and New Freedom. Maintain healthy conditions for elms, such as avoiding construction activities that might weaken the root system. Disrupt natural root grafts where appropriate using mechanical or chemical disruption. These procedures should only be conducted by trained and certified professional arborists. Plant new elm trees in a mix with other trees, and keep elms at least 60 feet apart. Be prepared to recognize the early symptoms of DED if they appear, and know the difference between DED symptoms and those caused by other pathogens. Removal of an infected limb, at least 10 feet beyond the observable limit of streaking under the bark can potentially save an infected tree. For healthy or early symptomatic (only one branch infected at tip) high-value trees, commercial products with the active ingredient thiabendazole (such as Arbortect-20S®) are available for application by professional arborists. In some cases, application of these products as a preventative treatment, with up to 2 to 3 years protection, may be recommended by an arborist, although there is evidence that this may not always be effective. Thus, costs and benefits should be weighed carefully before pursuing this treatment option. Insecticidal spray programs to control insect vector populations in combination with insect monitoring are potentially very effective at limiting disease spread, but these approaches are often unaffordable for individual homeowners and also costly for most communities or municipalities. In all cases in which dead and dying trees are present, sanitation is of paramount importance. This involves removal and destruction by chipping or burning of DED infected trees, which act as an inoculum source for the disease, and a home for the vectoring beetles. If elm wood cannot be destroyed, it should be stored under tarps to deny access to elm bark beetles until the bark naturally falls off the logs and branches. Alternatively, the logs and branches can be debarked mechanically, thereby depriving the beetles of the habitat necessary for completion of their life cycle.